Providing an educated workforce that’s up to the job—that’s our job. The state has a strong focus on education to ensure Iowa’s manufacturing workforce is globally competitive. Our public K-12 schools have fully-embraced science, technology, engineering, mathematics curriculum (STEM) and Iowa’s 15 community colleges collaborate and adjust technical training programs to fit the specialized needs of business. 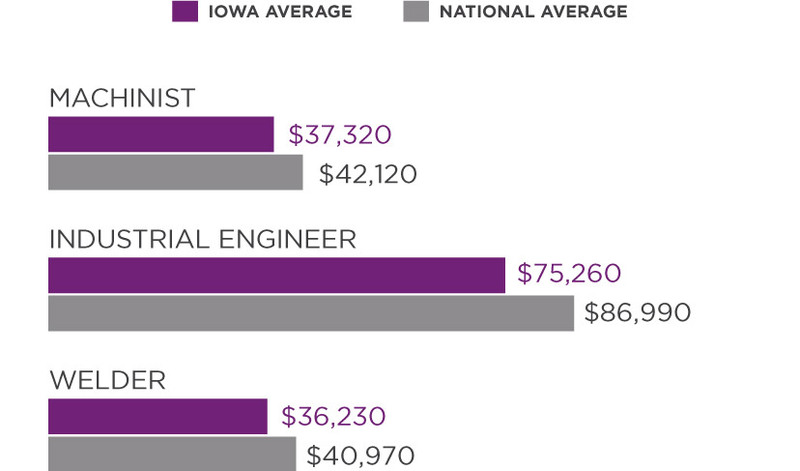 Discover how Iowa’s advanced manufacturing workforce can help your business succeed.